Don't Ever Let Your IT Company Do This To Your Computer Network | Biztek Solutions, Inc.
Today, when companies need to be lean, nimble and brutally efficient to survive in a competitive marketplace, cutting unnecessary costs is paramount. Unfortunately, it can be easy when you’re on a tight budget to accidentally strip away components of your business that may seem gratuitous but are actually essential to your success. 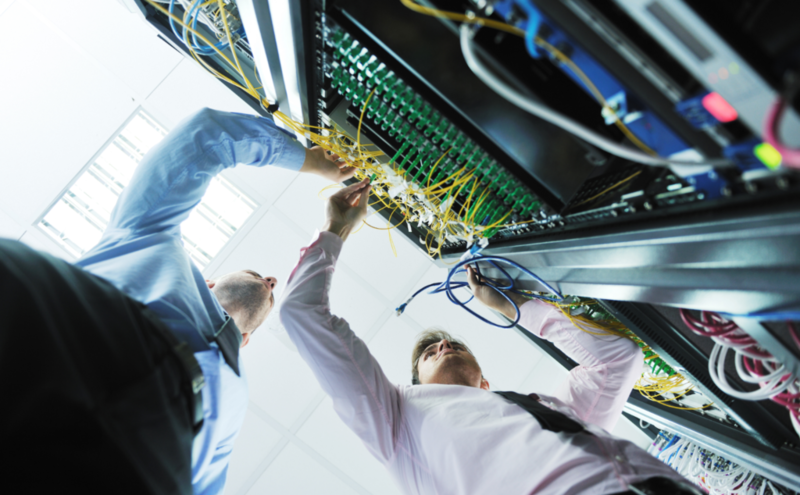 It can be hard to imagine the huge list of problems that might arise within your network. So, it’s an understandable strategy to wait to do something until an issue becomes a serious problem. At that point, they bring in a professional who – charging by the hour – attempts to suss out and repair whatever may be broken. What’s more, the approach “If it ain’t broke, don’t fix it” very likely leaves huge holes in your security and drastically magnifies the costs of an IT meltdown. If they’re only arriving in the midst of crisis, there’s hardly ever an opportunity for the break-fix technician to strengthen the barriers between you and the hordes of hackers clamoring for your data. They’re on the clock, being closely monitored to fix the problem and then go away. Meanwhile, the security landscape is constantly changing, with criminals and security experts in a back-and-forth arms race to stay abreast of the latest developments. Without someone managing your system on a regular basis, your protective measures are sure to become woefully out of date and essentially useless against attack. When you turn your IT needs to a managed services provider (MSP), you’re entrusting the care of your network to a team of experts who have a real interest in your success. MSP engineers regularly monitor the health of your system, proactively preventing disaster before it enters into the equation and hurts your bottom line. Download your FREE copy today at www.biztek-solutions.com/protect or call our office at (951) 653-9562. We have been using Biztek Solutions ever since we moved to Ontario. Any problems or questions we may have are always handled in a timely manner. It is very nice to know that whatever our business needs may be, we know we can rely on Biztek for the right solution. They are professional, knowledgeable and friendly and most importantly, the staff is quick to respond when any issues arise. Website Design by ACU Web Inc.